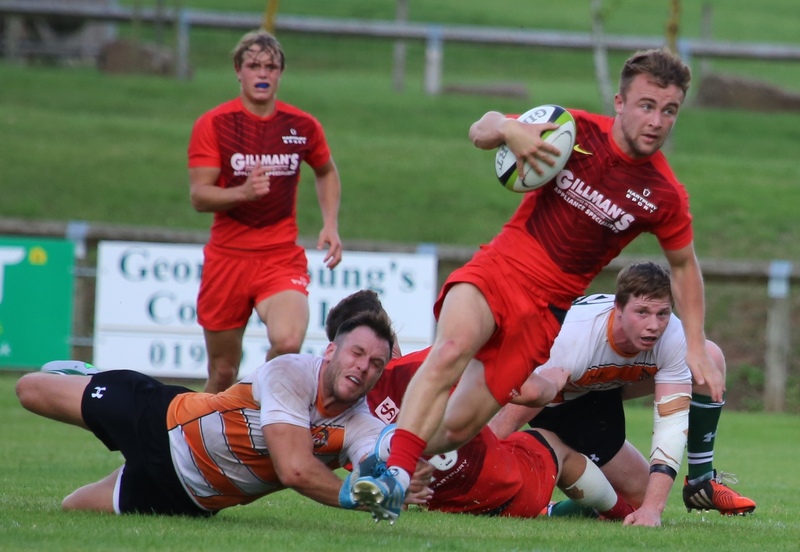 In what appears to be becoming something of a tradition, Hartpury face Ealing Trailfinders this Saturday in a final warm-up fixture for the forthcoming National League 1 season. We have played Ealing in three of the previous four pre-seasons, the exception being ahead of the 2014-15 campaign when both teams were in the same division. Trailfinders are a Championship side with a largely professional playing staff, which means that we can expect a real step up in the quality of our pre-season opposition, which is in no way being disrespectful to Preston Grasshoppers and Clifton, our previous two opponents. Ealing, like Hartpury, have enjoyed a rapid rise in recent seasons. Always a strong club in West London rugby with a good membership, things really started to happen for them as a more progressive entity around six or seven years ago. They took two seasons to move through National League 2 and a further two to reach the summit of National 1 in 2013, having finished as runners-up to Jersey at their first attempt. The initial foray into the Championship ended in immediate relegation, but another productive League 1 campaign in 2014-15 was followed by a more successful defence of their elevated status and they finished last season eleven points clear of relegated Moseley and just one point adrift of 10th-placed Rotherham Titans. Former Hartpury students and RFC players James Gibbons (prop) and Harry Casson (lock/back row) have signed for Ealing in the current season and might be expected to play some part at the weekend, as Trailfinders build up to their opening Championship fixture at Yorkshire Carnegie a week later. Hartpury College lecturer and prop forward, Tim Brockett, will be making a return to a club that he represented for three seasons before coming to us in 2014. Hartpury, apart from a slightly scruffy second half against Clifton, have performed well in warm-up matches and in training, with our Director of Rugby, John Barnes, declaring himself happy with progress to date. “We used about 40 players across the pre-season games against Preston and Clifton and it’s pleasing how things are shaping up. Performances are always more important than results in these fixtures, but a winning outcome at Vallis Way would represent real progress for the Red & Blacks who have yet to register a victory against Ealing in any of the recent encounters. Trailfinders have beaten Coventry RFC and a Newport Gwent Dragons XV, both away from home, comfortably in pre-season so far. Saturday’s game kicks off at 3pm. Travelling support would be most welcome at Trailfinders Sports Club, Vallis Way, West Ealing, London W13 0DD. If you can’t be there, the season ‘proper’ kicks off on Saturday, 3rd September, with a home fixture against Blackheath (2.30pm).